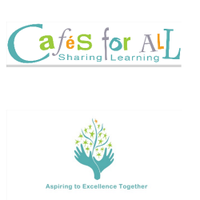 This training module offered as half day or a twilight trains school staff to use the Cafes for All format to enable pupils, parents and representatives from the wider community to share their knowledge and skills in the Café setting. It is useful for reading ambassador or reading partner initiatives, for developing pupil confidence and for increasing volunteering in the school. © 2019 Cafes For All.